The Petersfield Area Historical Society have produced a booklet as part of the events that the town has arranged to commemorate the one-hundredth anniversary of the signing of the Armistice in November 1918. 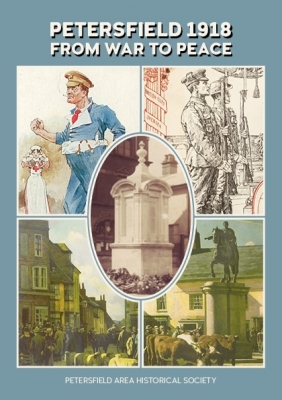 The 40-page booklet, compiled by Chairman Nick Swan and members David Jeffery and Ann Brooks, is made up of twenty-four articles written by members and friends of the society, describing how after four long years of war our town faced up to a new world. Most areas of the town's life at that time are covered and it is designed to appeal to anyone with a general interest in the town's history. We hope they find it is a fitting tribute to all those who lived through those terrible times. At a cost of £2, which covers publication costs, copies are available from The Petersfield Post office in the High Street.